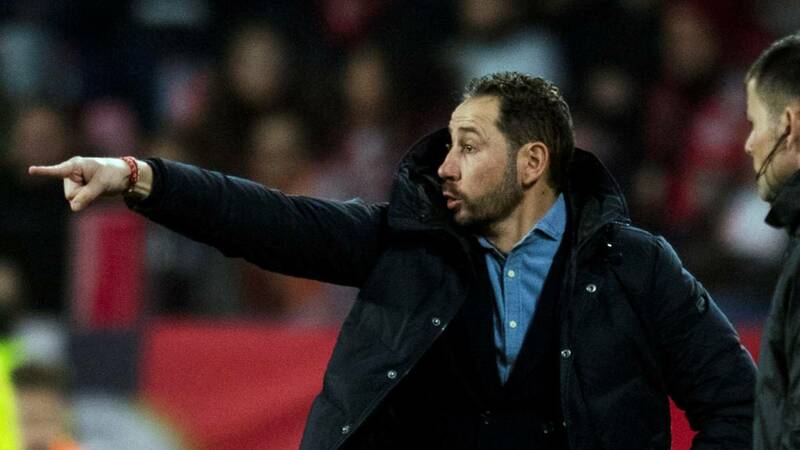 Home Soccer Machín: "We do not have to change our personality"
Machín: "We do not have to change our personality"
The Sevilla coach is confident of his team's chances of winning at the Bernabéu and reveals his plan: "to win you have to score"
How does Sevilla arrive? I think we're fine. This type of matches are marked in red because they are the ones that all players like to play. Beyond the low by sanction of Roque, the rest are available. We go with guarantees to compete to take the victory, which is what we are looking for. How can you win there? The statistics show that it is very difficult to win away from home, but I see that we have all the options to do so. It seems striking the few points that Sevilla takes in the big fields. Mama streak at the Bernabéu: If we think that we have to settle for improving the image of previous games would be a sign of small teams. I prefer to go thrashed if I went out to try to win. We propose the game as everyone, we face a very good rival beyond the excuses of casualties that can be placed. All teams have problems. Our intention is to win. Be brave or sheltered? You have to have several plans. The first thing is not to change your personality by how the rival is. We have to enhance our virtues rather than minimize those of the rival. To win you have to make goals and the goals are made by good players. We must take advantage of what we have that can make us make a difference. But if we only rely on talent and do not sacrifice ourselves, we will not have options. How do you see Madrid? I do not think it will come loose. Surely it will end up among the privileged of the competition. Being fourth does not mean that they are easier to win. They will want to advance us in the classification in addition to improving and making their fans more happy. We look inwards and the best scenario to win again outside the home is Bernabéu. Sorteo de Copa: The opponent that is not wanted is the champion and the leader of the League, but it is the one that has touched us. To have more options the draw influences, but we focus on the game against Real Madrid. Nothing changes in the face of the preparation of the game against Madrid the draw. Levante Resort: It is logical that the Levante try to take advantage of the options that it has, they are in their right, but I only think about Real Madrid. Reference of the first round: It is evident that Sevilla is capable of beating Real Madrid because we have already done so. I think we beat them in a fair way but we do not have to look too much at that game. If we are confident, we will be weakening. The only sure thing is that at this point in LaLiga we are two teams that are very even. Vinicius Speed: Any player who is in Real Madrid has a superlative media influence. It has a lot of quality and a lot of future and if it is there it is for something. One of the determining factors in football and what makes the difference is speed. We will take it into account, but no matter how hard you try to do things, the talent of the players is what changes everything.